USIPITWE! DOWNLOAD STATUS ZA RAFIKIZO WHATSAPP KIRAHISI KWA APP HII MPYA! KUINSTALL BONYEZA HAPA! 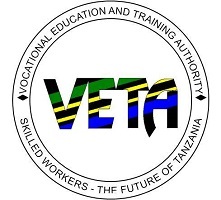 The Vocational Educational and Training Authority (VETA) was established by an Act of Parliament No. 1 of 1994 charged with broad tasks of coordinating, regulating, financing, Promoting and providing vocational education and training in Tanzania. The history of VETA dates back to 1940 when the Apprenticeship Ordinance was enacted to guide training in the industry. The Vocational Training Act of 1974, which established the National Vocational Training Division was replaced by the Vocational Educational and Training Act. of 1994. Mission: To ensure provision of quality Vocational Education and Training that meets labour market needs, through effective regulation, coordination, financing, and promotion, in collaboration with stakeholders”. Vision: An excellent Vocational Education and Training system that is capable of supporting national social economic development in a global context”. Please CLICK HERE to view centre address and location.